Sicilia, the exotic island off the tip of Italy’s toe, is a place with beautiful sea, mountains, food and of course uniquely ancient world class wines. Join us for a very special guided tasting 4 wines (one white and three reds). 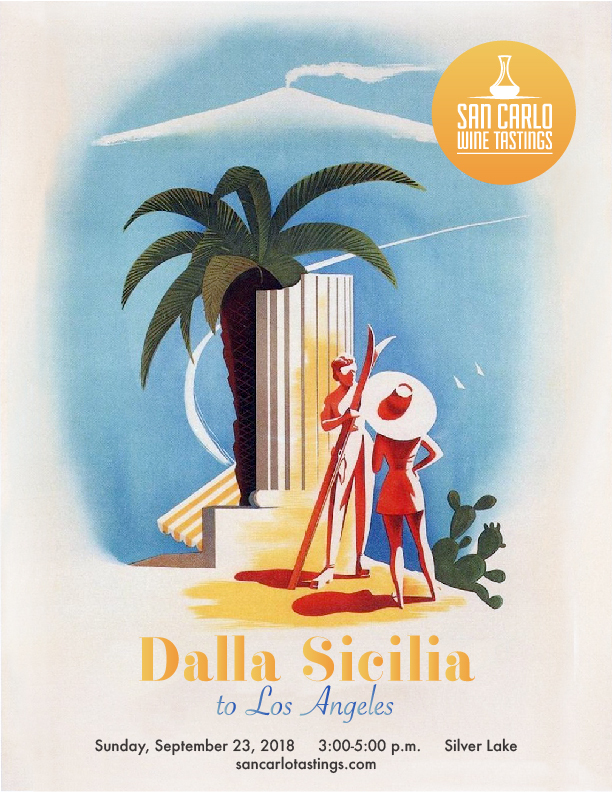 This pop-up tasting will take place in Silverlake at a historic home named Castello Bianco. Sicilian style antipasti will be carefully prepared and served alongside each glass. Website design by Agustin Cruz.